1. On 5 consecutive days, create a post using either a past or recent photo in B&W. 2. Each day invite another blog friend to join in the fun. My second nomination is Sukanya Ramanujan, because she accepted the challenge and she has great photos. She is from Chennai, India (Same town a j mithra was from) She is a “multi-lingual professional with varied interests such as reading, travelling, music and photography.” Also check out her photos. Again, I was nominated by Our Rumbling Ocean, and I nominated AussieBirder and now Sukanya Rananujan. Please check out both of these fine sites. 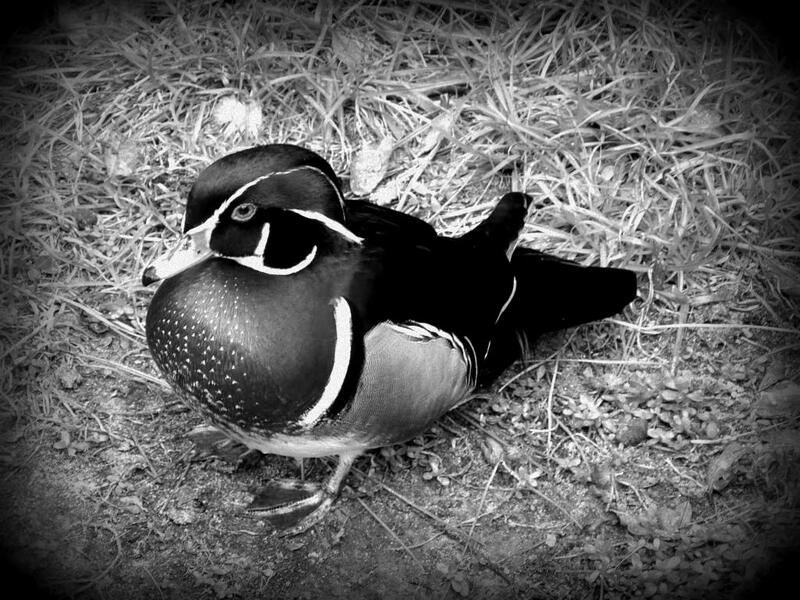 This entry was posted in Birds, Birdwatching and tagged Black & White, Challenge, Christian, Creation, Home School, Nature, Our Rumbling Ocean, Photography, Sukanya Ramanujan, Wood Duck. Bookmark the permalink.